Fans listen to their favorite band as the sun sets at the Woods Amphitheater, a 4,500-seat music venue nestled among the trees and hills of Whites Creek Valley. Just seven miles north of downtown Nashville, nestled in the rolling Tennessee hills of Whites Creek Valley, lies a vacation getaway whose fame has spread far beyond the Music City and even the Volunteer State. Situated on 186 acres of picture-postcard scenery, Fontanel and its world-class attractions have become one of Nashville’s premier destinations for travelers of all ages and interests. Property activities include tours of the Fontanel Mansion, a 33,000-square foot former home of Country Music Hall of Fame member Barbara Mandrell. Music lovers enjoy concerts at the Woods Amphitheater. Adrenaline junkies fuel their passion for adventure by flitting through the treetops with Music City Ziplines operated by Adventureworks. Hikers can enjoy the breathtaking beauty of central Tennessee on three miles of public walking trails provided by Metro Parks and Greenway. Handcrafted small batch fine wine is available at the Natchez Hills Winery which hosts special weekly events and entertainment. Cafe Fontanella is the property’s award-winning restaurant serving top quality Italian/American cuisine seven days a week. Since a single day visit is nowhere near enough time to experience all that Fontanel has to offer, travelers wishing to extend their visit will find the perfect escape accommodations at the luxurious Inn at Fontanel, an on-site boutique Bed and Breakfast, part of the Southern Living Hotel Collection. Featured as Southern Living’s 2013 Idea House, The Inn is a luxurious boutique hotel. The adjoining courtyard provides the perfect setting for weddings, parties, and other celebrations. The Inn at Fontanel is a five-structure boutique hotel, designed to encourage gatherings by day with distinct privacy and escape by night. The site was chosen in 2013 as part of Southern Living magazine’s 24-year tradition of building an annual Idea House in the South. Fontanel’s innovative designers transformed it into the present highly acclaimed luxury boutique hotel. Guests choose from six unique suites, all connected by an expansive deck with plush patio furniture and a view of the courtyard gardens and Porter’s Pond, complete with a fountain and waterfall. 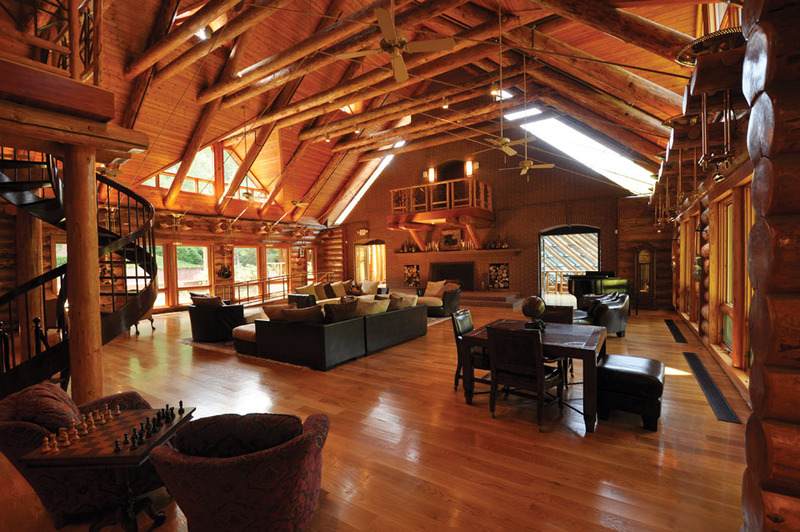 The Great Room, with its clerestory windows and soaring cathedral ceiling, dining room, kitchen and living room, is the common gathering area for all guests. After a one-mile shuttle ride to the Mansion, visitors then step inside the 33,000-square foot former home of Country Music Hall of Fame member, Barbra Mandrell. 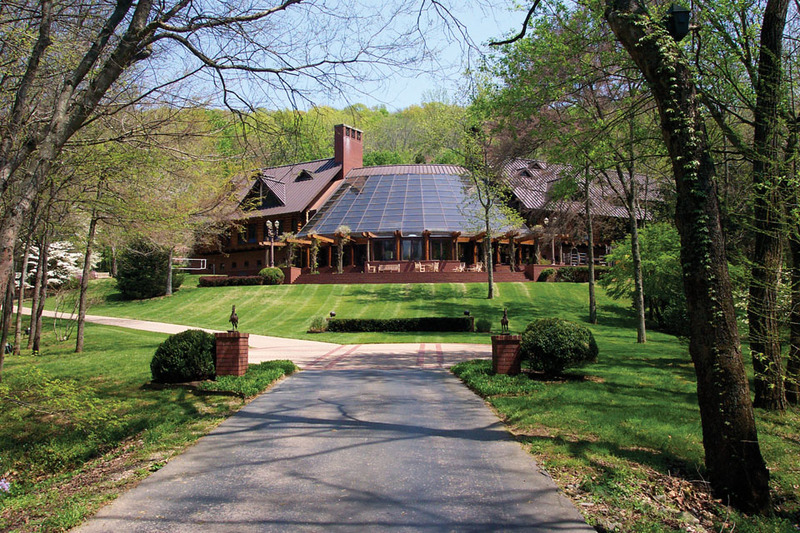 As the former home of Barbara Mandrell, the Mansion is the only stop on Nashville’s “homes of the stars” tour where visitors can actually visit the interior of the home. Open daily for tours, it boasts over 20 rooms, 13 bathrooms, five fireplaces, two kitchens, an indoor pool and even an indoor shooting range. This is not just a museum, but a home where visitors can sit on the furniture and relax while viewing the photos, memorabilia and personal items from the period when Mandrell’s family lived there. The Great Room at the Mansion is filled with furnishings and memorabilia that beg to be photographed and shared on the return home. For those who have dreamed of gliding through the forest canopy, Adventureworks offers Music City Ziplines. This eco-friendly activity offers adventurers the opportunity to soar through the shaded treetops on eight different zip lines 200 to 700 feet in length. Professional tour guides assist guests in zipping at speeds up to 35 miles per hour at an elevation up to 85 feet above the forest floor. Three miles of wooded trails wind through the forested setting around the Inn at Fontanel offering a quiet, serene escape for enjoying nature. The dog-friendly trails feature sensory points along the way installed by Mars Petcare. Guests at the Inn at Fontanel can hop on one of the bicycles available to them and pedal their way through the area which connects to the paved Metro Parks Greenway designed for cyclists as well as walkers. Guests at the Inn relax on the patio and enjoy a glass of wine from Natchez Hills Winery while taking in the breath-taking views of the Tennessee hills. Nestled in the natural habitat of the hills of middle Tennessee and situated near the historic Natchez Trace Parkway, Natchez Hills Vineyard is located just 45 minutes south of Nashville. Visitors are treated to an experience that transcends typical vineyard destinations. After a fun-filled day touring the property at Fontanel, guests stop at the Stone House Shoppe to purchase souvenirs, local artwork, regional food favorites, and a Fontanel Records CD. 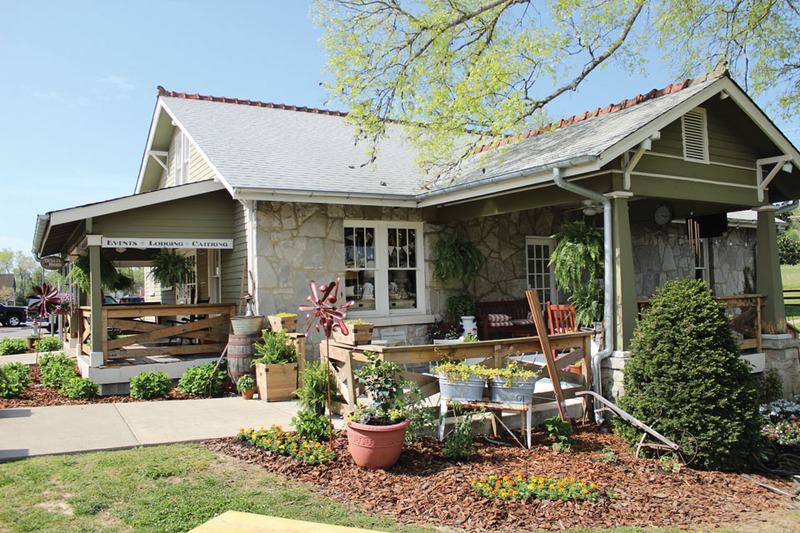 The Natchez Hills Winery at Fontanel offers visitors the chance to sample a selection of their “Old World” style wines. A knowledgeable Tasting Room staff explains the art of the vine inside the massive wine bar and lounge area where guests indulge themselves in the ambiance of the winery that includes a cozy fireplace and intimate seating areas, a music stage, humidor, and a beautiful patio overlooking the hills of Tennessee. With so many options from which to choose, visitors with limited time to experience the attractions at Fontanel often opt for a quick meal at Café Fontanella which serves lunch and dinner daily. A final stop at the Stone House Shoppe for gifts, collectibles, and Nashville brand wearables allows visitors to bring home some of the memories they’ve made during their Fontanel experience.